The stigmata, as far as I know, is a phenomenon found only in the Roman Catholic Church. Given that, it seems there are four possible Eastern Orthodox responses to it: That it is an expression of God's grace granted and intelligible to those in another tradition; that it is demonically inspired; that it is psychologically induced or; that it is a hoax. Perhaps I've missed further possibilities. Any thoughts? I think the quoted possibility is ruled out as Orthodox. It contradicts the Orthodox balanced position on Incarnation, Death and Resurrection, emphasizing on Christ's suffering on the Cross. I would agree with this. We understand Christ's suffering on the Cross to have been once and for all. Experiencing the stigmata would not be in keeping with this understanding. If you go down to the Stigmata tag then you will see this topic was discussed in another thread which had over 100 responses. The stigmata, as far as I know, is a phenomenon found only in the Roman Catholic Church. ]It was said today by Dr Alex Roman on another Forum that Saint Gregory Palamas was a stigmatic. I have never heard of this. Does anyone have information? It is the first time I've heard it. I don't believe it's true. Given St. Gregory was quite involved with Serbs, there would have to be some mentioning of it if it was true. An article by Father George Macris, a Greek priest who was a priest in the Russian Orthodox Church Abroad at the time he wrote this. 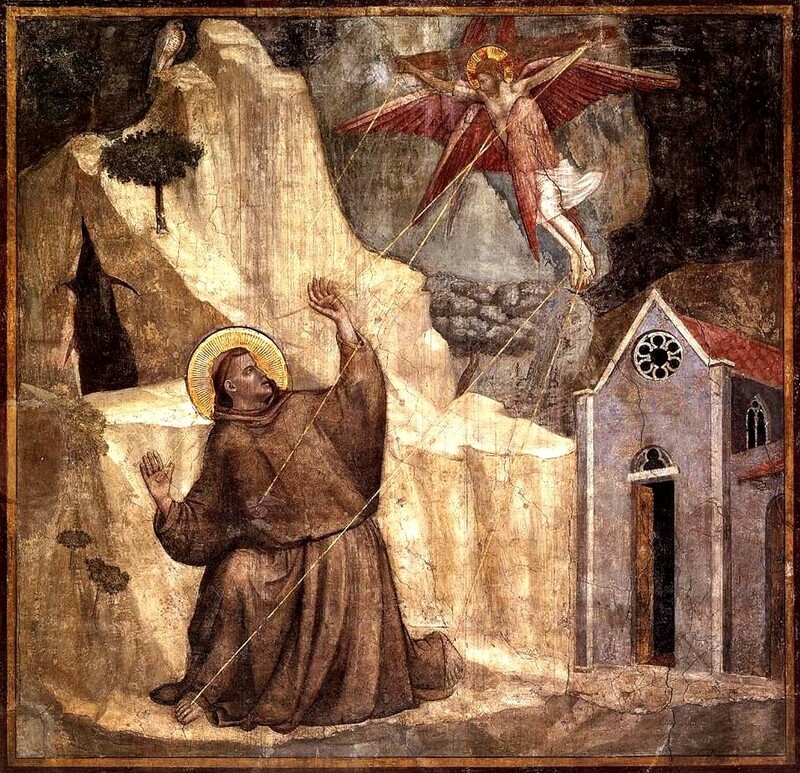 It is a comparison of the spirituality of Francis of Assisi ( with emphasis on the stigmata) and Seraphim of Sarov. With That of St. Seraphim of Sarov"
I've heard similar concerning Saint Seraphim of Sarov. Stigmata have also been experienced in Islam, where some Moslem mystics have experienced the wounds of Mohammed. What form does this take? Where are the bleeding wounds? I know of a case of a person who would get stigmata every year, at around the time of lent. I'm not joking. The conclusion I got from that specific case was that the person was somebody God used for some sort of purpose, to try to test and make a point to the world. Like St. Paul perhaps with the pride thing. He didn't get a "thorn in the flesh" to reward his pride, he got it because of his pride. Nevertheless he was a Holy man who God used for his purposes. Of course maybe there is a medical explanation for this? Then why do the Lives of the Saints emphasize all the torture and asceticism they endured? Is the difference that God supposedly causes the stigmata, whereas the Saints endured suffering at the hands of evildoers and by their own ascetic choices? I guess that in Orthodoxy we see that the suffering we endure is rewarded with the grace and peace of God, whereas the stigmata is itself supposedly a reward from God. And I guess our Orthodox position is that God does not reward His children with suffering; He rewards the suffering of His children with mercy and grace. Just thinking out loud. What say ye? Why not? Are we not to "crucified with Christ"? Are we not to carry our Cross? Do we not die to ourselves. Francis of Assisi is popular for his virtues and is thought of highly by many people in the Orthodox Church. It's not possible, of course, to contemplate including him in divine services of the Orthodox Church, because he belonged to a Christian denomination with teachings which differed and deviated from the Truth of Holy Orthodoxy. That does not mean that we Orthodox judge him or anyone else. Many people are unaware of the Miracle of Francis of Assisi which has led many into the saving fold of the Holy Orthodox Church. This occurred, if I recall, in the 1930s or 1940s, but I can't determine the name of the author or the date of the incidents described. "A friend of mine sent me a letter in French, in which an Alsatian woman asked him to send her something about the Russian Orthodox Church: a book of prayers or something similar. They sent something to her in response, and there the matter ended. "Afterwards I was in Alsace (a place in France) and visited that woman to get acquainted, but just then she was out of town. I met her mother-in-law, an elderly woman of great Christian mercy and with a pure heart. "She told me the following. Their family was of an ancient noble Alsatian lineage, of the Protestant faith. It must be said, that in that region of Alsace the inhabitants are divided in belief: half Catholic, half Protestant. They share a common church, where they hold services in turn. At the back of it stands the Roman altar, with all the statues and necessary things, but when the Protestants serve, they draw a curtain in front of it, roll their table into the center and pray. "Recently, the Alsatian Protestants began a movement in favor of reverencing saints. That happened after reading the book of Sabbatier about the Catholic saint Francis of Assisi. Being a Protestant himself, he was impressed by the way of life of that righteous man when visiting Assisi. My friends family was also under the influence of that book. Though remaining Protestants, they still felt dissatisfaction. They wished to reverence saints and take part in the Sacraments. When the pastor taught them, they asked him not to close the curtain on the Catholic altar, so that they could at least see the statues of the saints. Their thoughts were seeking the True Church. "The white elderly man kept silent and only smiled affirmatively at Francis' words. The vision ended. She woke up. And for some reason her thought told her: 'This is connected to the Russian Church.' And peace descended on her soul. "It was after that vision that she wrote the letter, mentioned at the beginning of this story. In two months I again visited them, and that time she herself told me the following. They hired a Russian worker. Wanting to know if he was well-situated, the hostess came into his room and saw an icon in the corner, on the wall, and she recognized the same elder, that she had seen in the vision with Francis. Astonished and frightened, she asked: 'Who is he, this elder? "This is St. Seraphim, our Orthodox saint, the worker said. And only then she realized the meaning of St. Francis' words that the truth is in the Orthodox Church." You could give them an icon of St. Seraphim as a gift. Catholic saints seem to be rather fond of Serbians. I remember reading an article from a Finnish Catholic magazine about an apparation of Thomas Aquinas to a Serbian abortionist who changed his occupation and returned to the Serbian Orthodox church because of the alleged apparition. As a Catholic you'd HAVE to be a saint to love a Serbian, since so many of them intensely loathe us. 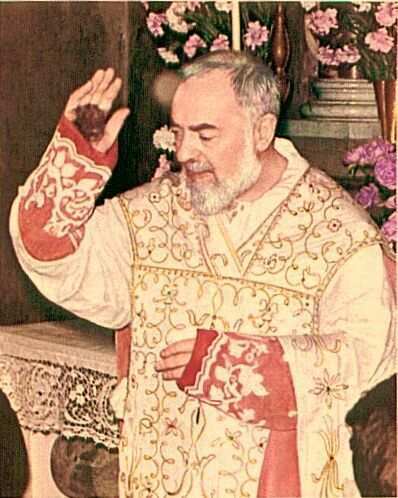 I have often wondered about the stigmata phenomenon, and have considered several different personal opinions regarding the phenomenon from Protestant, Roman Catholic and Orthodox faithful. It appears evident that individuals like St. Francis of Assisi, my favorite Roman Catholic saint, and others like Padre Pio in more recent times, did in fact manifest the wounds of the stigmata on their physical body. So, in my mind, the question is not whether these manifestations were real, but rather what might cause them to occur? Western Christianity, especially that of the Roman Catholic Church, historically seems to focus on the Passion and Death of Christ more than Eastern Christianity does, where emphasis is focused more on the Glory of the Risen Christ. Some opinions have suggested that this may be due to the fact that it was Roman soldiers who carried out the execution of Jesus by crucifixion. As a result, from the earliest days, perhaps Christians in the Roman Church contemplated this intimate connection with that particular aspect of Christ's redemptive sacrifice more profoundly than the faithful in other Apostolic Sees. This is quite evident in Roman Catholic religious art, and in several traditional religious devotions such as the Stations of the Cross, The Five Sorrowful Mysteries of the Rosary, First Friday Devotions, the Holy Face and Anima Christi prayers, and so forth. It seems reasonable to me, therefore, that certain especially devout individuals, who regularly contemplate the Passion and Death of Our Lord with intense mental absorption and profound outpourings of emotion, could psychologically induce a stigmata phenomenon in their own body over time. We know that the power of the human mind is a powerful creative force which can produce incredible results that are often inexplicable to rational investigation and analysis. Perhaps the stigmata is such a phenomenon. Oh sure. I don't know why we can't explain it this way. In fact I know of a couple of dozen studies that show that all mystical experiences are some form of hysteria or another. If you are going to use secular reasoning though, it will eventually be applied to ALL mystical events, not just Catholic ones. You simply must get past your inclination to view every response from a Orthodox poster as an attack on Roman Catholicism! My comments weren't intended to diminish or discount the genuine mystical experiences of stigmatists like St. Francis of Assisi in any way. Nor were my comments intended to imply that such mystical experiences or their accompanying physical manifestations represent any form of negative pathology. This may be true in certain cases, but certainly not in all cases, IMO. I merely acknowledged that such profound mystical experiences must produce a very powerful psychological and spiritual impact on the stigmatist, not just a physical impact. Any extraordinary intensity of mental absorption repeatedly focused on specific thoughts, images, and emotions most certainly alters the human psyche and soul, especially if they are sufficient to produce physical manifestations like the stigmata. There has been ample medical and psychological research in the past century at least to indicate that mental changes most often precede physical changes, whether positive or negative in nature. Such findings seem logical and reasonable to me, based upon my own past and present experiences. For example, I remember reading the forensic medical analysis of the Shroud of Turin Research Project in tears as I mentally envisioned the incredible cruelty of those who would beat a man until they were literally too exhausted to continue any further, and then proceed to crucify a body already very near death from the beating. Imagining that the man of the Shroud was in fact probably Jesus of Nazareth, I was shocked to realize as never before how intensely Christ suffered for us. These emotions and realizations profoundly impacted me. I truly believe, therefore, that if I were to entertain such intense thoughts and images as an integral part of my daily devotions, it would continue to have a profound impact on me physically, mentally, and spiritually. Thus, it is also easy for me to believe that repeated experiences of this kind over time, related to regular mystical contemplation of Christ's suffering, could be a possible contributing factor in manifesting stigmata. Continuing a trend begun in the Middle Ages, by the twelfth century, a shift in spiritual life and religious art had emerged in Western Europe. A new emphasis was being placed on emotions in spiritual life, resulting in such phenomena as stigmata. The stigmata phenomenon is known in the Roman Catholic and Anglican denominations, as well as in Islam, but is practically unknown in Orthodoxy. Another result was the central emphasis of the Crucifixion (Death) of Christ supplanted that of the Resurrection. In popular devotion, Christ was depicted more as a suffering fellow man, rather than as God Incarnate. In art, the mystical iconography which had emphasised divine qualities and theologically instructed the people was gradually replaced by passionate art. It depicted events of great joy or pathos in the life of Christ, the Mother of God and the saints in a familiar, worldly and realistic manner. "O my Son and my God, though I am wounded to the core and torn to the heart as I see You dead, yet confident in Your resurrection, I magnify You." But the fact of the matter is that when we begin to treat mystical experiences as nothing more than an hysteria of the psyche....well....What does the world make of the monk who becomes fire or the one who defends the other's experience of the divine light, or any other miraculous event. Better that you call stigmata a demonic act that to open all mystical experience to the secular habit of viewing religious experiences as pathologies. "My comments weren't intended to diminish or discount the genuine mystical experiences of stigmatists like St. Francis of Assisi in any way. Nor were my comments intended to imply that such mystical experiences or their accompanying physical manifestations represent any form of negative pathology. This may be true in certain cases, but certainly not in all cases, IMO." I guess you don't see it, Father. You cannot have a psychologically induced mystical experience and have it be a GENUINE mystical experience. The moment you say that the experience is self-induced then by definition it is either a neurosis or a pathology. You cannot have a self-induced miracle from God....by definition. There's nothing against you in that... it's just a reality. I meant that is the point of dozens of studies. To prove that mystical experiences are not from God but are self-induced. And I don't doubt that at all, but am merely saying that it is probable in great part that certain individuals receive these mystical experiences from God because they invited them through repeated, intense contemplation of Christ's Passion, as the vast majority of authentic stigmatists are well known to have done, whereas such phenomenon are quite rare in individuals who do not focus their contemplative attention in this way!